Of course, when you think of the Porsche brand, your mind likely goes straight for its flashy and powerful sports models. And while the Porsche brand has plenty of sport to go around, that’s definitely not all that it has going for it. 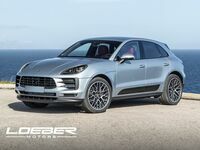 With the rising popularity of the luxury sports utility vehicle segment, Porsche has introduced multiple SUVs to its lineup, among them is the popular 2018 Porsche Macan. More compact than the Cayenne, the Macan is a great choice for Chicago-area drivers looking for a spacious, high-class vehicle that’s both practical and exciting. 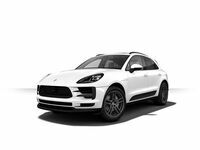 Behind the wheel of the Macan, drivers can harness the power of its 2.0-liter 4-cylinder turbocharged inline engine and 7-speed PDK transmission, which offers up to 252 horsepower. Truly a Porsche vehicle, the Macan doesn’t let up in terms of performance. Behind the wheel of this impressive ride, drivers can reach a top speed of 142 miles per hour and go from 0-60 in just 6.3 seconds. 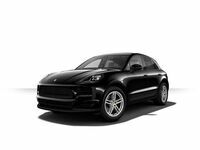 When you choose the sporty and sophisticated 2018 Porsche Macan, you get a versatile vehicle that’s perfect for everyday driving with the heart of a sports car. What’s more, this impressive vehicle comes with a long list of impressive features, ensuring you don’t miss out on the modern elements and technologies you’re looking for. Drivers interested in getting behind the wheel of this impressive new vehicle are encouraged to contact us today at Loeber Porsche! Simply give us a call or contact us online by clicking the button below and we’ll be happy to work with you to get you behind the wheel of this sporty and impressive new vehicle.